The recent actions of the Kosovo Government in relation to Serbia are considered by the Serbian Foreign Minister Ivica Dacic as pressure on Serbia to recognize Kosovo but remains to be seen of how the international community will resolve this issue. These comments have been made by the head of Serbian diplomacy today, addressing to the Assembly of the Women's Forum of the Socialist Party of Serbia, party led by Dacic, reports Serbian media Beta. "I want to see of how the international community will now solve the issue of Kosovo and these taxes. They created these, let them solve these problems. Now they (Government of Kosovo) do not want to hear, and when someone does not listen, then is known of what deserves," Dacic said in Krusevac, addressing to the women of his party. He reiterated that the Socialists will never recognize Kosovo's independence and that no one can force it for that. "This is actually the pressure we know about Kosovo. This is the pressure to say the situation is hopeless, and we should recognize Kosovo. 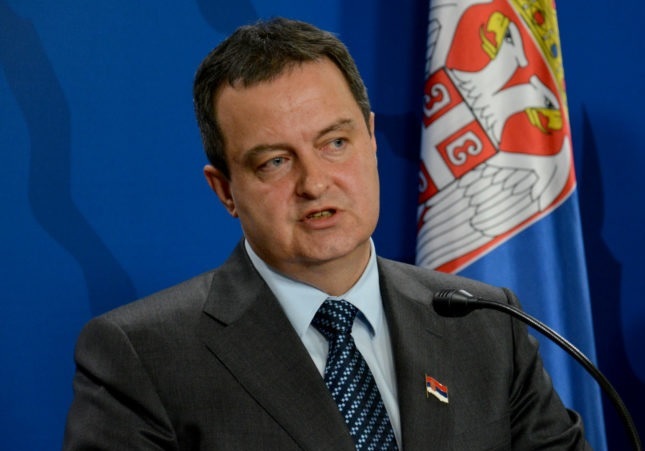 It is bad for them, no purpose has been achieved," Dacic said. He said Serbia's goal is not to cause problems to Kosovo, but to hold a dialogue to know that the Kosovo issue has not been resolved and that "for this government, and our party, the Kosovo issue turned to the agenda again."